The Windsor Lantern is hexagonal with 6 panes of beveled glass. There is also fret work detail to the top of the lantern. 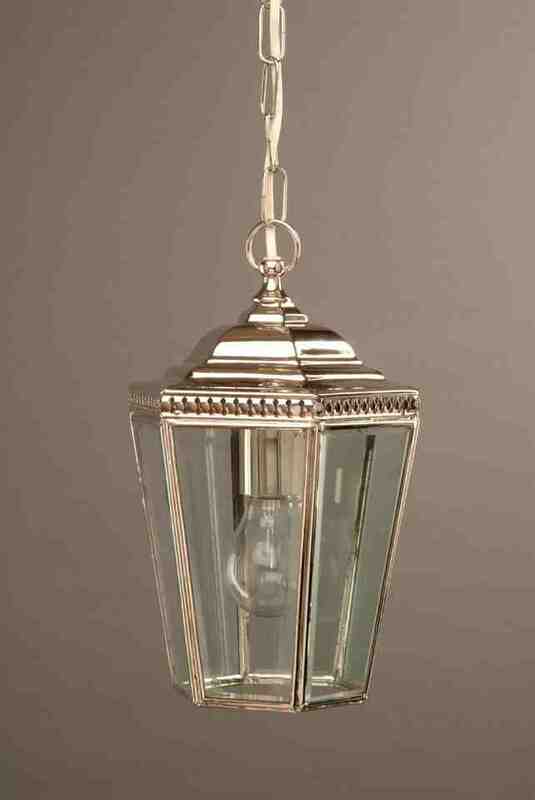 The Windsor pendant is suitable for a sheltered exterior position or internal use.